Glorious morning light greeted me on this final day of a November excursion to Big Bend National Park. 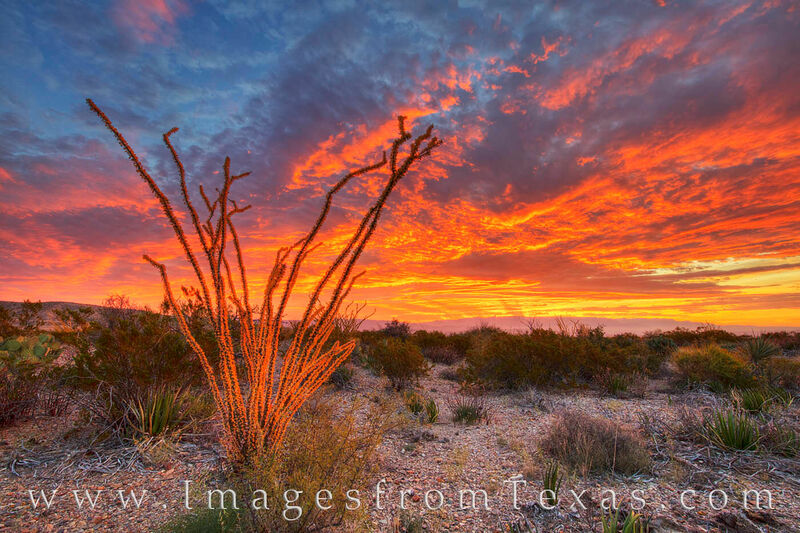 In the foreground, a golden Ocotillo in the Chihuahuan Desert stood still in the cool Autum air and overhead the sky exploded in an array of orange, red, and blue. Photo © copyright by Rob Greebon.